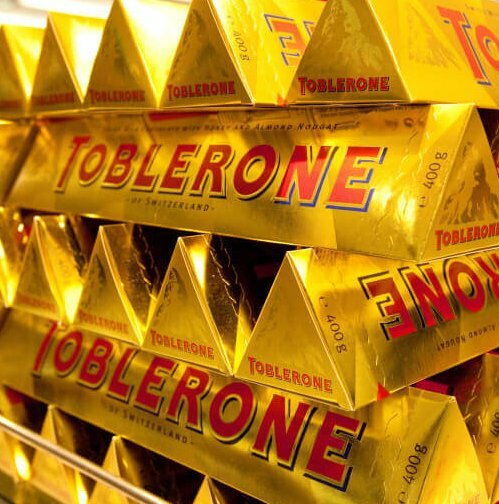 As an eight-year-old, I remember the sense of excitement when my dad came back from a business trip to Switzerland with the largest Toblerone I’d ever seen, recalls Michael Bennett, managing director of specialist food and drink PR agency Pelican Communications. Sadly, today’s eight-year olds are less likely to experience the same sense of excitement, or sugar rush, following Mondelez’s decision to downsize the famous triangular chocolate bar. Mondelez said last week, that the move was down to a rise in the cost of ingredients. It has resulted in the triangles being spaced out and the weight of its 400g bars being reduced to 360g and the 170g bars to 150g, while the size of the packaging has remained the same. The US confectionery giant is not alone. Birds Eye is reported to be considering cutting the number of fish fingers in a pack – for example from 12 to 10 or 20 to 18. Other brands are sure to be thinking along the same lines. The weaker pound has already increased the cost of many of the food industry’s input costs. Apart from the obvious impact this will have on food prices, it’s also going to affect pack sizes, and could create major reputational issues for brands. This is not a new phenomenon, consumer group Which? highlighted the trend earlier this year claiming that many supermarket items such as toilet rolls, chocolate biscuits and orange juice had shrunk in size while their price was unchanged. Already rising input costs will see more and more brands looking reformulate their packs. The likely effect is that consumers will feel short-changed and will become less brand loyal. Savvy brands need to make sure any changes are communicated openly and honestly, or even better, maintain brand integrity and concentrate on convincing consumers that their products are worth the extra cash. Do menu calorie counts add-up?